All rings with diamond content could be considered to be “diamond rings”. However, generally speaking, when we think of diamond rings, what we think of is a ring where the main stone is a diamond. Diamond rings in this section therefore have various designs, but all feature a diamond at their heart. The size and quality of the diamond in each ring varies depending on the client’s requirements. The available budget and the decisions made in relation to diamond size all play a part in whether a particular engagement ring design will work. Most ring designs can be made in various sizes and scaled up or down, according to what the budget will allow. However some design layouts require specific diamond measurements. This can dictate the overall diamond weight. To keep the engagement ring in budget, some adjustment to the diamond grades may be necessary. 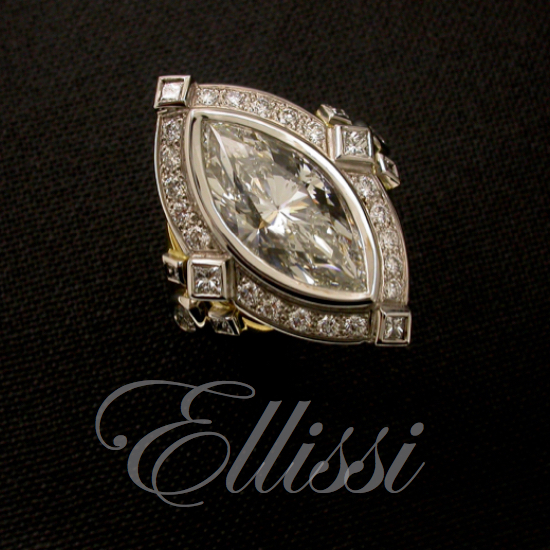 At Ellissi, we combine the best elements of the engagement ring making, with the best diamonds. This is done by selecting the finest quality diamonds from the world over. We advise where the budget is best spent to achieve the desired outcome. We make all our engagement rings to the highest standard of workmanship. It is not an easy job, but when you are as passionate about diamonds as we are, getting the best result is always at the heart of what we do. If you want your engagement ring to stand above the rest, you need a professional to advise. The results of our work in the following pages are a great testament to the skills, knowledge and expertise of the Ellissi jewellers. With a combined 70+ years making diamond rings, you can rest assured you are in very safe hands. Spending only a short time on our site, I think you will see what we mean when we say quality counts! Please enjoy browsing through our diamond rings. Mostly these rings are engagement rings. However you will also find wedding and dress rings. 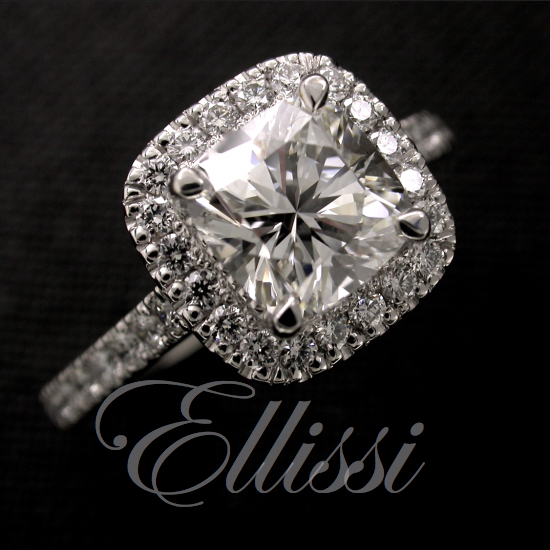 These are all client commissioned diamond rings that we are proud to display on the Ellissi website. If you have any questions about a particular diamond, or any of the engagement rings you see displayed, please don’t hesitate to contact us.